Serve neat in a tumbler with a glass of iced water on the side to fully appreciate the slow, intense, rich, deep and multilayered experience. Blue Label is the ultimate tribute to those who define themselves not by where they stand, but by where they are going. It has traditionally been enjoyed on holidays, birthdays, and moments of celebration and achievement; regardless of the occasion, it is a gift for those whose defining moment has yet to be defined. The aroma of hazelnuts, honey, sherry and oranges tumble in first. Hidden secrets like ginger, sandalwood and dark chocolate are released. A rich honey sweetness emerges, accompanied by hints of pepper and dried fruits. An impossibly long, lingering, smooth finish of perfectly balanced, soft smoke. The whiskies that make Blue Label are especially selected for their individuality from some of the rarest stocks. Maturing in oak means that there will always be the exceptional, the unusual and the rare, and these are the whiskies that are used for Blue Label. 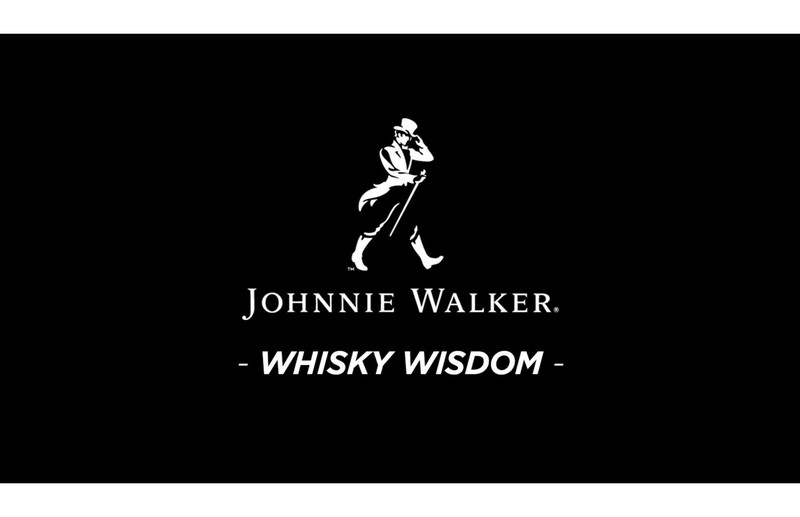 The Master Blenders at Johnnie Walker have always possessed legendary sensory skills. To produce Blue Label requires not only the skill to sense an aroma in parts per million, but to then weave these together, creating layer upon layer of taste and flavor. Their role in creating Blue Label is to guide the unbroken line of maturing stock until it's ready for selection. New York City bartender Jeff Bell noses and sips his way through the core Johnnie Walker portfolio. From Red Label to Blue Label, he shares tasting notes and simple ways to serve each blend. Pour 1.5 oz. of Johnnie Walker Blue Label into a tumbler glass without ice. Accompany with a tall glass of chilled water on the side. Alternate sips, starting with the water, to fully unlock the blend's astonishing complexity.